Through expansive love & deep listening to the wisdom of your unique body, Zahava guides groups, couples & individuals in rhythm with nature’s cycles. Initiated into meditation at age 4, she leads others in the practice of Patience, Presence, Peace & Play. 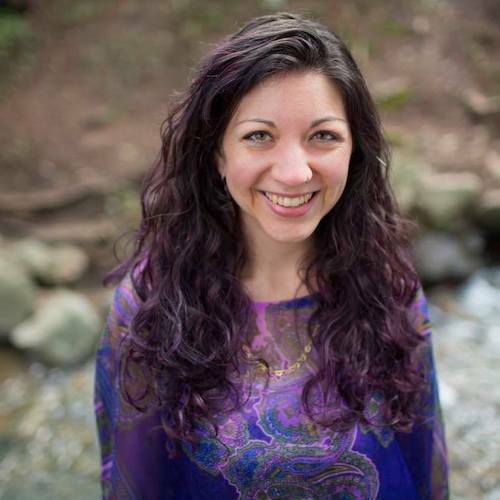 Her studies in psychology, theatre, theta healing, coaching, shadow-work, tantra, doulaing and facilitating women’s moon circles are woven into all that she offers. It is her honor to guide you back to your true nature of love and wonder. Learning to walk in harmony with the changing nature of our blood cycle is a true art form. One that takes devotion, observation & permission to attune to and support our inward & outward nature. Through meditation we will activate our essential womb-heart connection, we will discuss the seasonality & archetypal nature of our cycle & through a shamanic drum journey connect to one of the archetypes. This workshop is welcome to people who have had or have a blood cycle.